The story of how the video game industry came to life. …if you're looking for an honest and comprehensive look at an important era in video game history, seek this film out immediately. As a document of an era that has become as influential in popular culture as any movie or music genesis, this is a tale that deserves to be told. ​World 1-1 is an independent documentary on the early history of video games. The personalities of the pioneers, the creations of the engineers, and the challenges, technology and business deals. See the games and hear the stories from the creators themselves. 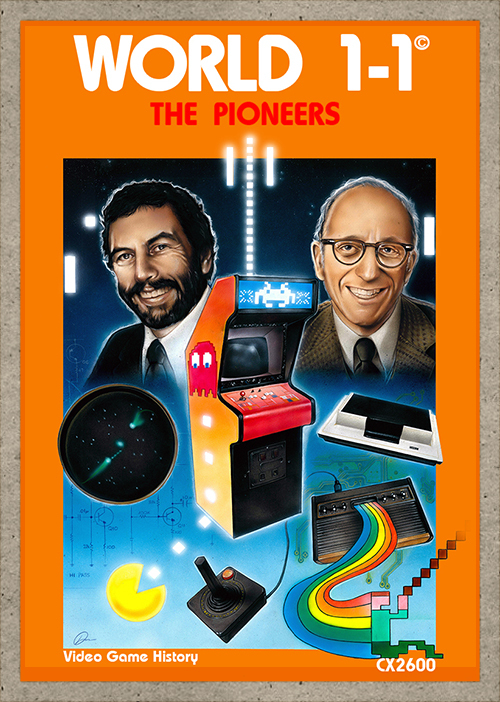 This is the story of how Atari helped create the games industry years before it should have happened. World 1-1 follows the lucky deals and unfortunate mistakes that almost destroyed the entire industry just as quickly as it was born.